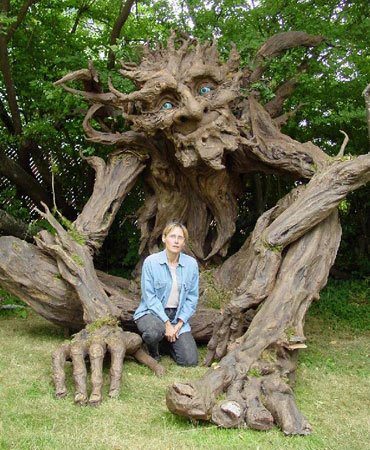 The Troll is a huge 12 foot sculpture built by Kim Graham and volunteers. The entire sculpture is built with non-toxic materials and was completed in 2006. For the months of August and September 2006 he was shown at the Vidya Gallery, 619 Western Ave. #22, Seattle WA, 98104. After that, several of the volunteers took him around to the local fairs and markets as a photo-op to get some exposure. They are hoping to find a more permanent home for him.